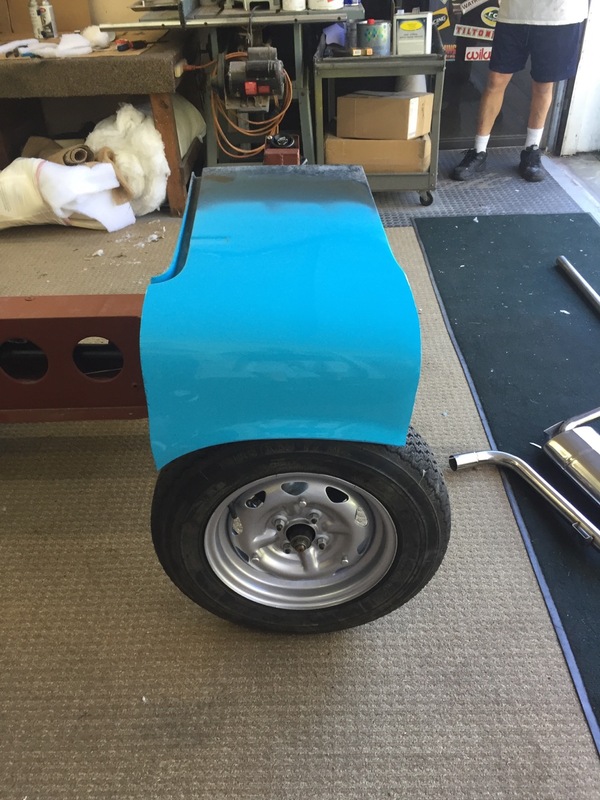 We took a scrap of quarter panel that we didn’t use and painted it three different shades of what we thought Medici Blue should look like. The color in the foreground is the one we chose. 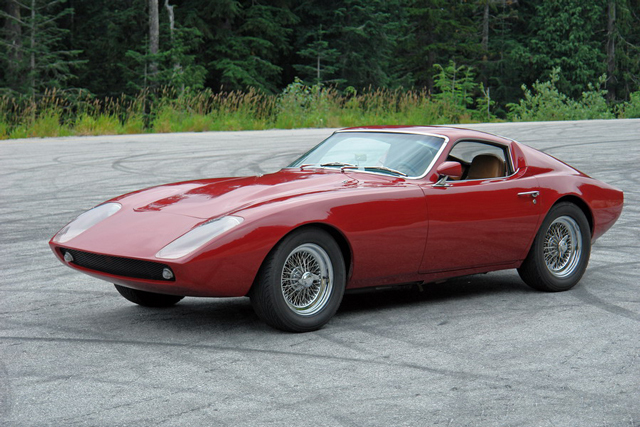 After some investigation, we think that our project Elan was originally painted in Carman Red. We use the word think because there is nothing on an Elan’s VIN tag that indicates color. 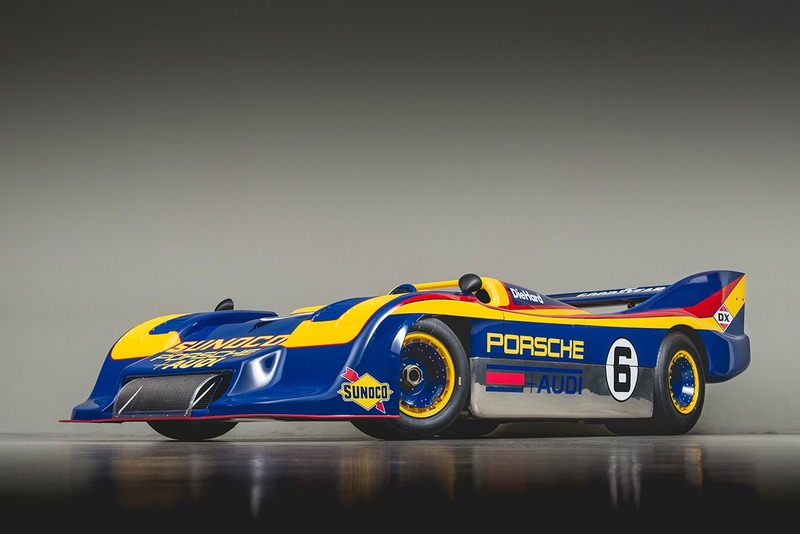 There were four standard colors used on these early cars, but Lotus would also paint them any color you wanted as long as you had the money to pay for it. These four standard colors were Cirrus White, Jaguar Racing Green, Medici Blue and the aforementioned Carman Red. While we wanted to have our car painted in an original color, we were not particularly enamored with the rather dull color that is Carman Red. We also decided that such a small car needed to be painted a rather bright color to be seen on the road a bit better. This ruled out both green and white and left us with Medici Blue. Medici Blue was a color sourced from Triumph. While we were able to source a picture of a paint chip from the Internet, we were not sure how well that chip had been photographed and how faded it was to begin with. We looked and looked—both on the Internet and through our local paint shop sources—and came up with three versions of what we thought the color should look like. We decided to take a piece of the leftover quarter panel from one of our repairs and paint it all three colors, then see which one best matched our color chip. First up was a shade that one Lotus enthusiast we had been dealing with swore up and down was the correct color. This color turned out to be rather dark, greyish and honestly quite ugly. And it really looked many shades off of our sample chip, so we discarded that option. Next we tried a paint we found at Higgs, one of our local paint stores. 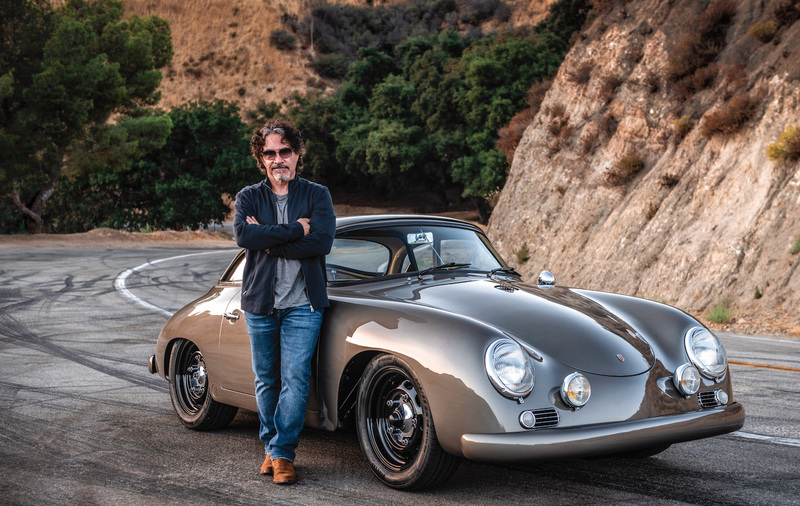 As it turned out, this color had two problems: it was too light and we weren’t going to be able to match it with a standard PPG color, which is what we were going to use to paint the car. After a third attempt, we ended up with an absolutely stunning PPG blue. The color code in Deltron is #17041. Will there be an article on redoing the interior and did you go with the horrible ABS tunnel cover? It would look stunning in a good red (not an orangey red or the dull red that was stock). Look at BMW Imola Red and there are also some nice Toyota deep reds. This decision was absolutely the hardest to make for me. I ended up using the BMW colour. I think it worked out well. I wanted to stick with an original color. And yes, there will be interior assembly stories and we did use the original style console. For original colours, the blue or the yellow look pretty good - not fond of either red they used. Yeah, the red was a little week and I am getting a bit tired of red sports cars. I reached the same conclusion years ago when I noticed I had been doing an inordinate number of my cars in reds of one shade or another. I switched up and no have a gray, a silver (the modern sports cars), a blue, an two reds from the Red Era. I am pretty thrilled with the blue and 99 out of a 100, so far,have commented on the striking color.